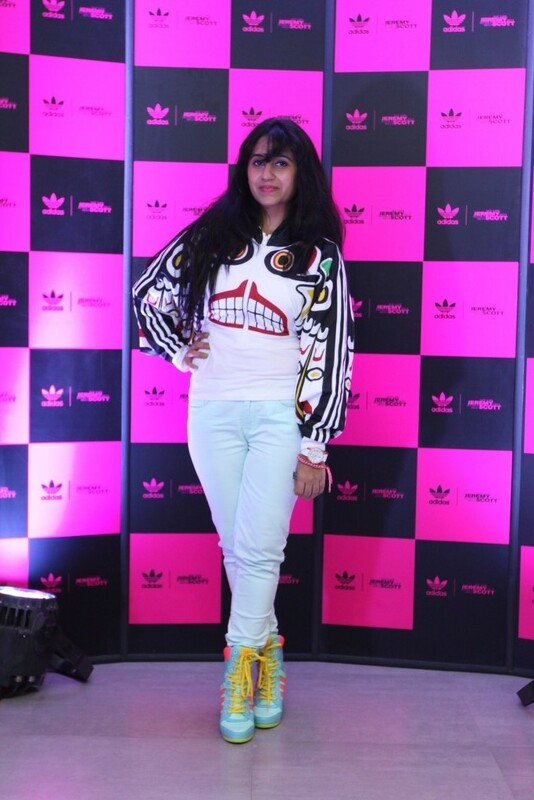 Adidas Originals recently invited bloggers to review their newly launched Limited edition Jeremy scott collection, and man that was one heck of a Quirky stuff they had there !! The collection stood out,was unexpected (at least from the usual Adidas stuff),craftily designed and had unique elements like Jeremy’s signature winged high top shoe(my favorite pick) !! If you want to leave a flamboyant impression or would love to have those girls gawking at you , I suggest you Gird your Lions and check them out once ! From models doing the rampwalk and an after party with Chilled Sula and cupcakes was Re-freaking-freshing, since I stopped in after a busy Saturday !! don't miss these gorgeous Sneakers adorned with sunglass-wearing poodles and bears. Ranging between Rs. 8,999 to Rs. 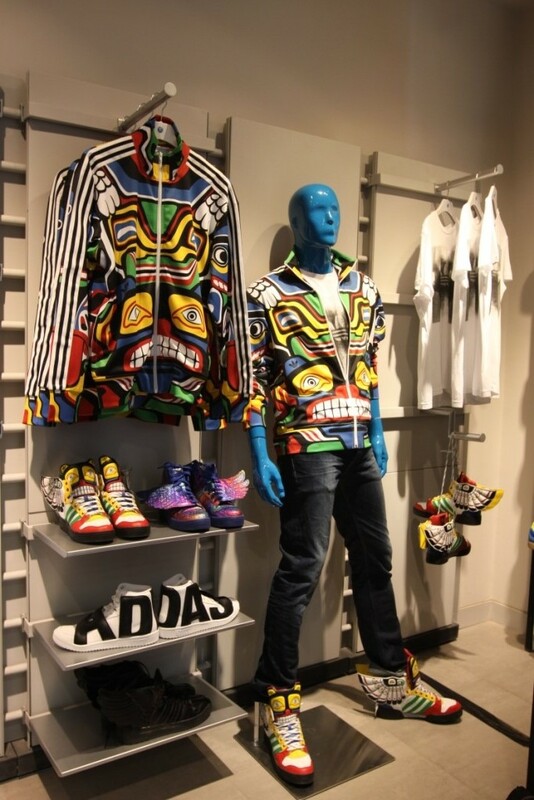 12,999, the Spring/Summer ‘13 Adidas Originals-Jeremy Scott collection will drop at select Adidas Originals outlets across the country. Love your florar blazer! I'm following you on FB now, I hope you'll do the same, here is the link! lovely jacket Surbhi, and the styling is spot-on! Love the urban vibe of your look! You look stunning! :) And these J.S adidas!!! What a cool event! I love the unique prints! Your outfit was fabulous love the mint and florals! Of course we would like to follow each other. I love your outfit! The floral blazer go great with the mint pants. The poodle sneaker is so cute! Although, I don't know if i would ever wear it in public, haha! You have such a great blog--would you like to follow each other on GFC or Bloglovin'? Lovely looks! And thanks for commenting my blog! Your outfit for the adidas event is just perfect. WOW surbhi..i love ur blazer..also the adidas collection is super cool. Very nice love the review...much love Aeroplane and Apparel. Wow! What a quirky collection! Nice review. I don't think they sell in India. Do they??? Btw, I love the way you paired your dress and the boots seem to be the icing on the cake for me... Lovely. I just love your blazer! Such a great find for Spring. Those shoes are so cool and I am in love with your blazer!! you look perfect! Very nice. I like your outfits. Thanks for leaving such a darling comment on my blog! Love how the blazer looks on you, so gorgeous! They're so cool. I would all this stuff. Thanks for posting and feel free to drop by me too when you have time. Amazing outfit dear, love the jacket!! love your blog too! checkout my blog if you can. Le scarpe sono fantastiche (: Reb, xoxo. Great collection!! Love your look!! Fab blazer!! I am digging the bold print jersey/sweatshirts lately!! Love this floral blazer you are wearing!! Hope you are having a wonderful day! Oh you look great in their collection. Love your floral blazer too !! fab fab amazing! do u want to follow each other?